Scott D. Levin has been our President and Chief Executive Officer since November 2018 and has served as one of our directors since December 2018. Mr. Levin was our interim President and Chief Executive Officer from July 2018 to November 2018. Mr. Levin also served in the Office of the Chief Executive Officer from November 2016 to March 2017 to assist and ensure a smooth executive leadership transition. Previously, Mr. Levin served as FTD's Executive Vice President and General Counsel from September 2013 and was appointed Secretary on November 1, 2013. Mr. Levin was the Chief Legal Officer and Secretary of Coskata, Inc., a renewable fuels and chemicals production company, from 2012 to September 2013. From 2007 to 2012, Mr. Levin was Senior Vice President, General Counsel and Secretary for Morton's Restaurant Group, Inc., which was a publicly held restaurant holding company during that time. Prior to that, Mr. Levin held General Counsel positions at Torex Retail Americas (a global technology solutions provider) and OurHouse, Inc. (the home improvement e-commerce business for Ace Hardware Corporation). From 1996 to 1999, Mr. Levin served as Vice President and General Counsel of FTD, Inc. Mr. Levin also worked at Schulte Roth & Zabel LLP in New York City where he practiced in the mergers and acquisitions, securities and finance areas. Mr. Levin earned a J.D. from The National Law Center at George Washington University and a Bachelor's degree from Boston College. Steven Barnhart was appointed Executive Vice President and Chief Financial Officer for FTD Companies, Inc. in January 2017. Steven has over 30 years of extensive experience across e-commerce and consumer goods companies. Previously Steven worked at Bankrate, Inc., a leading publicly traded internet publisher, aggregator, and distributor of personal finance content, where he served as Senior Vice President and Chief Financial Officer from September 2014 until the sale of the company in November 2017. From August 2012 to June 2014, Steven served as Senior Vice President and Chief Financial Officer for Sears Hometown and Outlet Stores. Prior to that, from January 2010 to June 2012, he was Senior Vice President and Chief Financial Officer for Bally Total Fitness. Steven served as President and Chief Executive Officer of Orbitz Worldwide, an online travel company, from 2007 to 2009, while the company operated as a division of Travelport and then as a public company after leading Orbitz's initial public offering in July 2007. He also served on Orbitz's board of directors. From 2003 until he became Chief Executive Officer, Steven served as Vice President of Planning, Chief Financial Officer, and President of Orbitz Worldwide. Before joining Orbitz, he worked in a variety of finance and strategy roles over 13 years with PepsiCo. Steven has a Master of Business Administration in Finance from the University of Chicago and a Bachelor of Arts in Economics from the University of Chicago. Rhys J. Hughes is the head of our International Division and was appointed President of Interflora British Unit in May 2008, having previously spent two years as Chief Operating Officer of Interflora. Mr. Hughes was also appointed head of Global Floral Strategy for FTD Companies, Inc. in October 2016. Prior to joining Interflora in 2001 as Finance Director, he held senior financial roles with Boots Opticians and Vision Express. Mr. Hughes is a Chartered Accountant, having qualified with KPMG in Nottingham, where he spent most of his time in audit services. He received a First Class Honours degree in industrial economics from Nottingham University. Tom D. Moeller is the head of our Florist Division and has been with FTD since April 2010. He joined FTD as Executive Vice President, Florists' Transworld Delivery, Inc. from the William Wrigley Jr. Company, where he served as Global Chief Customer Officer since 2007 and as Vice President, U.S. Customer Sales and Support from 2001 to 2007. Prior to Wrigley, Mr. Moeller served as General Manager at Schering-Plough HealthCare, responsible for their Wal-Mart and Alternative Trade Channel businesses. Before joining Schering-Plough, he spent 12 years at Nabisco, Inc. in various sales and customer marketing roles. Mr. Moeller has had over 25 years of experience in consumer packaged goods. He is a graduate of Wartburg College and continued his executive education at Northwestern University and Cornell University. 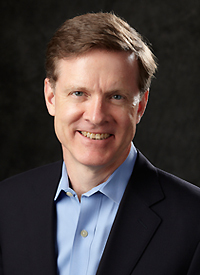 Jay Topper was promoted to Executive Vice President and Chief Digital Officer in July 2018. Mr. Topper joined FTD as Executive Vice President, Chief Information Officer in October 2016. Previously, he served as the Chief Information Officer, Chief Technology Officer and Customer Services for VitaCost.com, a subsidiary of the Kroger Company. Under Mr. Topper's leadership, Vitacost.com was the #1 e-retailer among websites selling health and beauty products in 2013, and earned the #2 spot in customer satisfaction - second only to Amazon.com - according to the ForeSee Experience Index. Prior to Vitacost.com, he served as SVP, Customer Success and Chief Information Officer for Rosetta Stone, Inc. During his tenure, the company earned back-to-back Stevie Awards in 2011 and 2012 for innovation in customer service. Earlier in his career, Mr. Topper held various progressive leadership roles in technology and operations, and was a Commissioned Officer in the US Coast Guard. He earned a Bachelor of Science in Mathematics from the US Coast Guard Academy and his Master of Science in Telecommunications and Information Management from the Polytechnic Institute of NYU. Dale Perrott joined FTD as Executive Vice President of Supply Chain Operations in September 2016. Previously, Mr. Perrott served as Senior Vice President, Global Supply Chain, Americas at Starbucks Coffee Company and served in various other operations leadership roles in his 11 years at the company during its years of key expansion. He served on the Americas Senior Leadership team where he was accountable for supply chain operations serving all retail stores in North, South and Central America, and the Caribbean. Prior to joining Starbucks, he led supply chain efforts both domestically and abroad for the Quaker Oats Company, supporting the international expansion of the Gatorade brand. Before holding corporate roles, Mr. Perrott consulted for Ernst & Young/Capgemini, directing business transformation and implementation of optimization solutions in demand, supply, transportation and pricing for Fortune 500 companies. He possesses a Bachelor's degree in Transportation/Logistics from Iowa State University and the International Logistics Certification from University of Tennessee-Knoxville. Elizabeth Cimaroli is SVP Strategy and Business Development. She joined FTD in April, 2017 from The Boston Consulting Group where she served as Partner and Managing Director in the Chicago office. Elizabeth was member of the Consumer and Retail Practice and spent most of her 14 years at BCG supporting clients across a range of topics including portfolio strategy, innovation, category and brand growth and go-to-market strategy. She was also Co-founder and Director of BCG Tech Ventures, an initiative to help companies commercialize their technology in non-competitive spaces and create new pathways for growth. 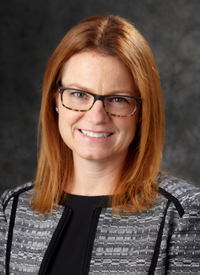 Elizabeth joined BCG in 2003 after receiving an MBA with High Honors from the University of Chicago Booth Graduate School of Business. Prior to that, Elizabeth earned her PhD in Astronomy from New Mexico State University and worked as a research astronomer. Elizabeth also has a Bachelor of Sciences in Astronomy and Physics from Haverford College.